towards the promo whereas their U.S. counterparts can only credit U.S.
does require those new referrals to complete a rental to earn the bonus. Redeem a Free Rental Day: One-time bonus of 300 points when you redeem a Free Rental Day earned during the 2015 ONE TWO FREE Promotion. Refer A Friend bonuses for up to 3,000 points. 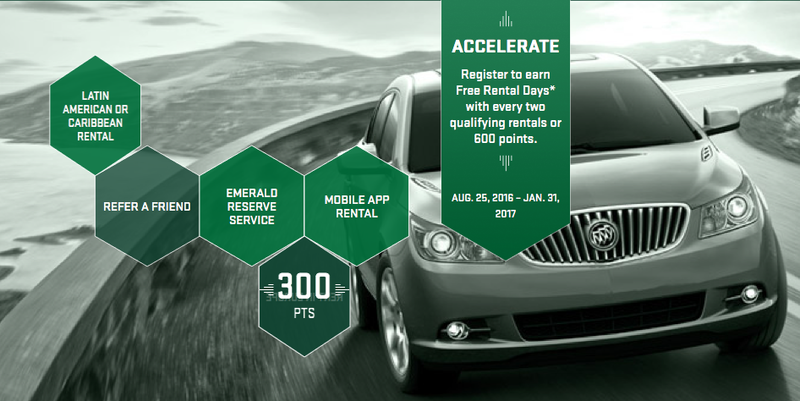 to the points you earn for completing a Qualifying Rental). locations). Limit to three bonuses for up to 600 points. at major airports throughout the U.S. and Canada. participating locations in the Continental U.S. (additional fees apply). Opt In: Virtual Credentials: One-time bonus of 50 points when you opt in to receive your next membership kit electronically.